KUCHING: The complete list of Barisan Nasional (BN) candidates for the upcoming 11th Sarawak state election saw 29 new faces in 'Team Adenan'. 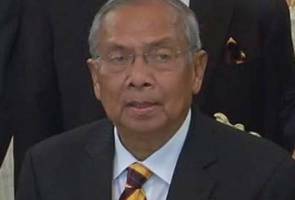 Chief Minister Tan Sri Adenan Satem completed making the announcement for the last three candidates during a press conference recently. Out of 82 candidates, 40 of them are from Parti Pesaka Bumiputera Bersatu (PBB), 13 from Sarawak United Peoples Party (SUPP), 11 from Parti Rakyat Sarawak (PRS), five from Sarawak Progressive Democratic Party (SPDP) and the remaining 13 candidates are BN direct candidates. Out of the 13 direct candidates, seven were former members of the United People's Party (UPP), three were former members of Parti Tenaga Rakyat Sarawak (Teras) and three were former members of the United Nations.